Shopping and clubbing, sun bathing and sailing are all hallmarks of a luxury villa rental vacation in St. Tropez. If you’re interested in something a bit more high energy, however, the exclusive resort town offers several different options you can consider. 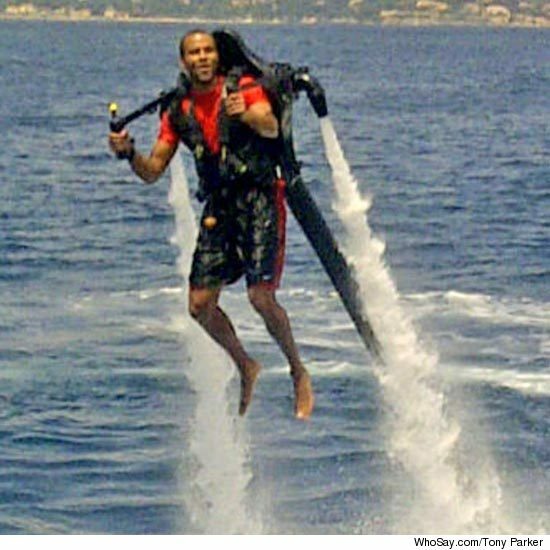 NBA star Tony Parker was recently seen motoring around the Mediterranean on a futuristic “jet pack,” one of the many grown up toys that you can choose from during your St. Tropez luxury vacation. The JetLev reportedly costs more than $130,000 to own, and Parker spent about $5,000 to rent one in St. Tropez. So how does this modern answer to parasailing actually work? The JetLev, made by a Canadian company, gets strapped to your back and propels you through the air using water, sucked in through a tube trailing in the ocean, as its fuel. Perhaps not the exact image of the flying jet packs we’ve been promised by movies and science fiction, but definitely a new and unique way to enjoy the sun, sand and sea of St. Tropez. 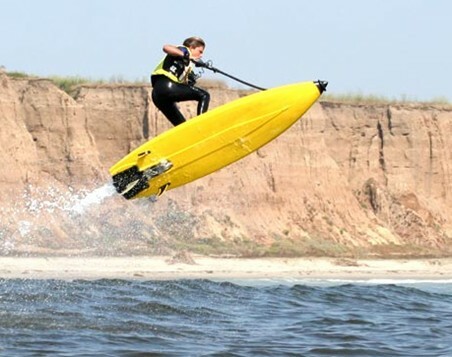 XtremeSport has named the PowerSki JetBoard as its must-have extreme sports toy for the summer of 2011, making it a no brainer for anyone wanting to add some excitement to their St. Tropez luxury villa rental vacation. As the name suggests this surfboard replacement is also jet-propelled, a new take on an old classic. Described by XtremeSport as a “stand-up…independent craft completely controlled by its rider and capable of reaching speeds of up to 70km/h,” the site also notes that most users don’t go over the 60 kilometres an hour mark, preferring to stay around 40. While beginners are advised to try out their JetBoard on flat water first these jet-propelled surfboards can be used on waves too. If you’d like to try something out of the water then why not consider rock climbing? Sure, many don’t associate this particular sport with the sunny sands of the South of France, but the area boasts some of the best rock climbing in the world. Buoux, for example, is located in the Luberon Provence, about 188 kilometres from St. Tropez and your luxury villa rental. The area boasts straight walk walls that extend from 30 to 120 metres in height, and some extremely technical and challenging routes. Some you may want to consider trying according to XtremeSport: Rose de Sable 7a, No Man’s Land 7a+, Reve du Papillon 8a. 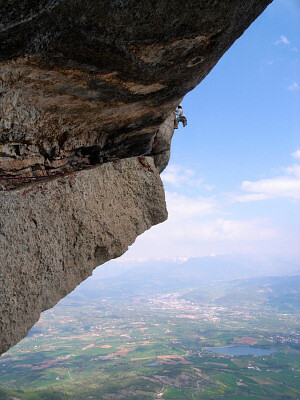 Keep in mind that some of the best months for rock climbing in the South of France are the spring and fall. If scuba diving is more your speed you can definitely find some great dives in the Bay of St. Tropez, but you may also want to consider taking a trip to the surrounding islands like Porquerolles and the fiercely protected Port-Cros, which doesn’t even allow bikes, let alone cars. This entry was posted on Wednesday, July 20th, 2011 at 12:11 pm	and is filed under Entertainment, Luxury Travel, Saint-Tropez. You can follow any responses to this entry through the RSS 2.0 feed. You can leave a response, or trackback from your own site.